The following report looks at the factors that deter or delay individuals from entering into deer farming and highlights the most effective actions required to overcome these barriers. The initial sections provide an introduction to the current state of deer farming in Scotland, and a brief explanation of the historical context. This is followed by a description of the two­‐phase, questionnaire and interview, approach adopted in the methods. The results from each phase are then presented, with nine barriers to entering deer farming identified during the interviews: finance, practicalities, community, information, stock, marketing, politics, epidemiology and processing. The findings are discussed in relation to the diffusion of innovations theory. The final section of the report provides a series of action points to be adopted by the deer farming industry to ensure its sustainability in the future. 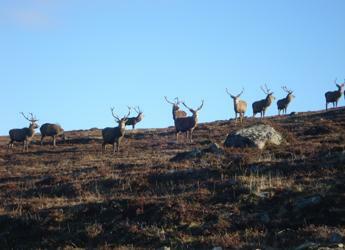 In short these include: production of a finance guide; upfront information on practicalities of deer farming; maintenance of a deer farming community; establishment of an (online) information portal; access to breeding stock; continued interaction in politics; continued marketing of venison; production of epidemiology guides, and; investment in processing.